Judy Garland in 'A Star is Born'. 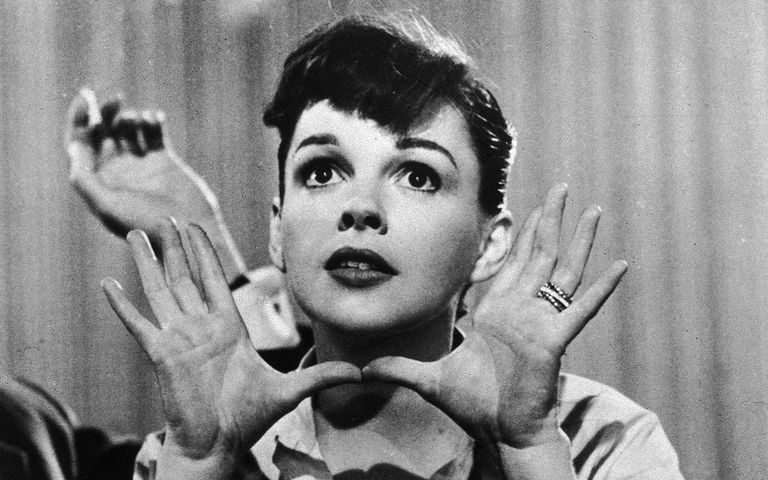 Warner Bros.
An incredible talent whose contralto voice, girl next door looks, and undeniable charm turned her into a star, Judy Garland was once hailed by Fred Astaire as one of the greatest entertainers who ever lived. After getting her start on the vaudeville stage, Garland made the jump to Hollywood and became a star alongside lifelong friend, Mickey Rooney. Her starring role in one of Hollywood’s most iconic classic movies turned her into a legend, though by the mid-1940s Garland was struggling mightily from a number of personal travails. Mental health, tax issues, low self-esteem, and drug and alcohol addiction plagued the young star at various points in her career. Still, she enjoyed enormous success in movies and later on the Broadway stage, though her personal struggles ultimately led to her downfall. Regardless of the tragedy of her personal life, Garland remained an icon in the truest sense and has earned ​a legion of new fans with every successive generation. Here are six classic movies starring the incomparable Judy Garland. Already a hot commodity thanks to a string of films with friend Mickey Rooney, Garland was propelled to iconic status as Dorothy Gale in Victor Fleming’s The Wizard of Oz, the role for which she was forever identified. Initially, MGM head Louis B. Mayer wanted to borrow Shirley Temple from 20th Century Fox to play the part, but the studio refused and left him with the producers’ original choice of Garland. The 16-year-old actress delivered a performance for the ages as Dorothy, a young Kansas girl whisked away to the fantasy land of Oz during a tornado with her scrappy dog Toto, where she follows the yellow brick road with Scarecrow (Ray Bolger), Tin Man (Jack Haley), and the Cowardly Lion (Bert Lehr) in search of The Wizard (Frank Morgan). Though it would take several years for the film to turn a profit, The Wizard of Oz remained one of Hollywood’s greatest all-time classics while earning Garland fans with every new generation. Filmed immediately after she wrapped The Wizard of Oz, Busby Berkeley’s musical Babe in Arms reunited Garland with Rooney in this adaptation of the 1937 Broadway hit of the same name. Garland and Rooney played two talented children who are denied the stage by their vaudeville parents. Of course, they take matters into their own hands and attempt to put on their own show, only to incur the wrath of a judge who gives them just 30 days to be successful or they’ll be forced to stay inside their prison-like trade school. Despite the implausibility of the plot, Babe in Arms was good clean fun and featured music from the famed songwriting duo of Rodgers & Hart. Thanks to heavy promotional tours by Garland and Rooney, the film was another hit for the actress. One of her most famous musicals, Meet Me in St. Louis was Garland’s biggest hit for MGM and introduced her to her future husband and frequent collaborator, director Vincente Minnelli. 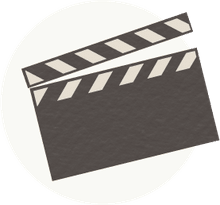 Adapted from a series of short stories from prolific writer Sally Benson, the film featured Garland as the second oldest daughter of a prominent family patriarch who tries to uproot his family from turn-of-the-century St. Louis to settle in New York City. Naturally, the family is non-too-pleased with his plans, including Garland, whose romance with a boy next door (Tom Drake) comes under threat. Featuring songs like “The Trolley Song” and “Have Yourself a Merry Little Christmas,” Meet Me in St. Louis was a major commercial hit and remained one of Garland’s most popular movies. After the success of Meet Me in St. Louis, Garland suffered from a number of personal setbacks, including a suicide attempt in 1947 and a nervous breakdown while filming The Pirate with Gene Kelly. Also during this time, she developed a serious alcohol and drug problem that would her career for the rest of her life. But following a massively successful vaudeville-style production on Broadway, Garland made a comeback with a remake of A Star Is Born. Directed by George Cukor, the film starred Garland as an aspiring actress who meets and eventually marries an alcoholic matinee idol (James Mason), who falls deeper into the bottle the more her popularity rises. A massive critical success, Garland’s tour-de-force performance earned her the only Oscar nomination for Best Actress of her career. While a favorite to win, the Academy instead bestowed the award onto Grace Kelly, shocking fans with one of Hollywood’s most egregious snubs. One of the greatest courtroom dramas ever made, Judgment at Nuremberg featured an amazing cast that included Burt Lancaster, Marlene Dietrich, Spencer Tracy, Maximilian Schell, Richard Widmark, and Montgomery Clift in this depiction of the famed Nazi trials at Nuremberg. Garland delivered a top-notch dramatic performance as Irene Wallner, a woman afraid of testifying and bolstering the prosecution’s case. Garland received an Oscar nomination for Best Supporting Actress, but only went on to make three more films -- Gay Purr-ee (1962), A Child Is Waiting (1963), and I Could Go on Singing (1963) – before leaving Hollywood for good.